Baby Botox – Despite its name, the newest skincare trend has little to do with children (thank goodness) and everything to do with precision injectables. If you’ve ever shied away from getting Botox in the past, this major skin care advancement may be just the reassurance you need to take the plunge. Read on to find out more about baby botox and how you can get beautiful skin without the frozen botox look. Simply put, Baby Botox is the practice of using a far lower dosage of Botox than ever traditionally used to get the look you’re wanting. You might be wondering if low dose Botox can really make a difference? The answer is yes. This is what makes the Baby Botox process so unique and groundbreaking. Traditional botox procedures use far higher quantities of the substance, which is weighed in units. While a traditional Botox appointment may use 25 units per area, a Baby Botox procedure will traditionally use around 10 units. Skilled injectors will use precision placement to ensure that the conservative dose goes right to the heart of the issue, fixing crows feet or fine lines without creating a frozen botox look. Botox is one of the most commonly used injectables and is very safe for human use. Botox has been used to relax the facial muscles that cause wrinkles for over 20 years. Made from the bacterium, Clostridium botulinum, Botox causes temporary paralysis of the muscles. This causes fine lines and wrinkles to disappear, however, if a patient requests an overzealous amount of units, it can cause the patient to look frozen. If you suffer from migraine headaches, be sure to talk to your provider about your experience. Your provider will be able to help you better understand if you could be a candidate for a similar technique. Just how much Botox is the right amount for you? You’ll want to book a personal consultation to discuss your treatment goals. At MyBotoxLA, our consultations are zero-obligation, however, if you decide to go forward with a BabyBotox treatment, the cost of the consultation will be applied toward the procedure of your choice. Botox is one of the most popular medi-spa procedures. Even if you have never used Botox before, chances are someone you know has. How open you choose to be with your friends is entirely up to you. Botox is a subtle way to make improvements in the overall appearance of your face. There’s little to worry about when working with a skilled injector, after discussing your goals, your provider will give you a few options that are personalized to suit your needs. Together you and your provider can decide just how many units you’ll need and where they will be distributed. Want to know just how much of a difference a little Botox can make? Check out our before and after gallery. Getting the perfect look starts before you show up to your Botox appointment. You’ll want to show up on time, hydrated, and without any blood thinning medication in your system. Although bruising can happen after getting injections, it is usually minimal and easily covered with concealer. There are steps you can take ahead of injection day that can minimize your chance of bruising, like avoiding aspirin, vitamins a & e, and alcohol. Arnica can also be applied to the injection sites to help deter any additional chance of bruising. After your procedure, you’ll also want to avoid exercising for the first 24 hours after your injection appointment. In addition, you’ll want to avoid applying any excessive pressure to the injection site. 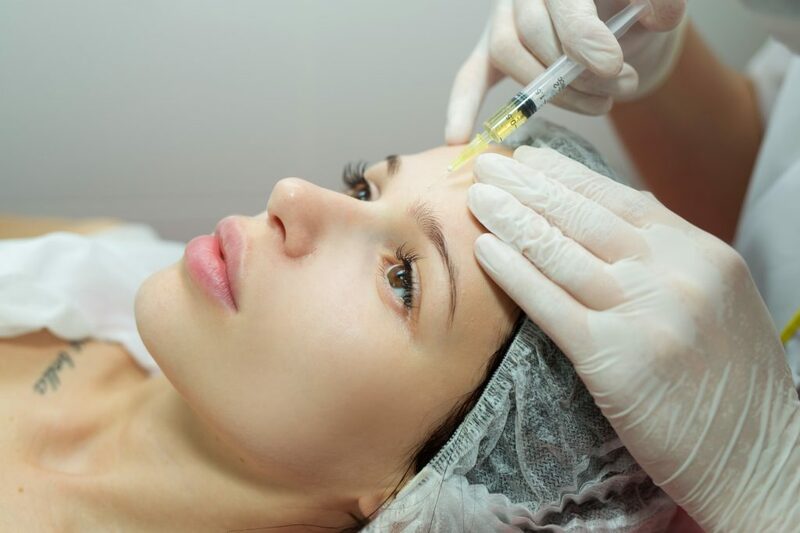 Not all medical skin clinics offer Baby Botox, while some may be willing to offer packages that include a more conservative amount of units, this isn’t to say that they are qualified to offer the Baby Botox service itself. This service requires an experienced, highly required injector in order to achieve the level of results required. MyBotoxLA has always delivered “natural look” never the scary “frozen” appearance. And now these results have become a fad with their own names: ‘baby botox’, ‘microtox’, and of course, the most eye-catching title of them all, ‘baby botox’. MyBotoxLA is the perfect place to try if you’re looking for an improved, but natural look. Rather you’re experienced with injectables or looking for some guidance and a first time client, MyBotoxLA is the perfect place for you. MyBotoxLA offers a variety of services in addition to Baby Botox. If you’re looking to learn more about fillers, cheekbone enhancement, or body contouring procedures like CoolSculpting, MyBotoxLA is prepared to answer any questions you may have. Located in Studio City, California, MyBotoxLA’s beautiful location is nestled in the heart of Ventura Blvd, between Laurel Canyon and Coldwater. No matter where in LA you call home, your best look is waiting for you just minutes away. For more information on Baby Botox and many other innovative medi-spa procedures, visit our blog or book your personal consultation today.